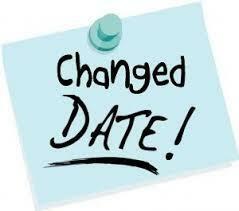 Home > News > EBGC Annual AGM- CHANGE OF DATE!! By now our clubs should have received our recent mail out in the post! Our AGM will take place on Friday 18th May at Gosfield Lake Golf Club and not the 11th May as previously advertised. We apologise if this has caused any inconvenience! We would love to see as many of our clubs there so we can celebrate another year together.